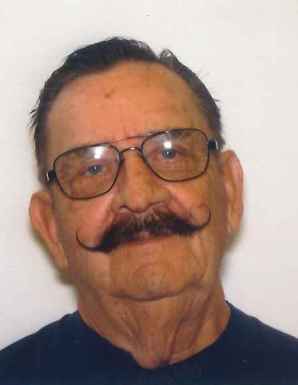 Earlie E. Lee, 80, of Green Springs, OH passed away on Friday, December 8, 2017 at Firelands Regional Medical Center in Sandusky. He was born on March 27, 1937 in Green Springs, the son of Clifford Sr. and Pearl Mae (Whiel) Lee. Earlie served in the U.S. Navy for four years and was awarded the Good Conduct Medal and Cold War Medal. He married Eleanor Dickman on May 25, 1957 at Green Springs United Methodist Church and she survives. Earlie worked at Whirlpool Corporation from 1955 until 1999. He was a Police Office in Green Springs from 1960 until 1975 and was then appointed and served as Police Chief from 1975 until 2000. He attended FBI School in Milan, OH in 1960. He received the Outstanding Service Award for Chief of Police in 2003; the 1984 Citizen of the Year Award for Green Springs and the 2001 Green Springs Hall of Fame Award. Earlie was a member of the Green Springs Masons and Worth Patron of Eastern Stars (five times). He was a Little League baseball coach for nine years and Boy Scout Merit Badge Counselor. He was a member of the Eagles, a Life member of the American Legion, a Life member of the VFW and a member of Fraternal Order of Police. Earlie is survived by his wife of sixty years, Eleanor Lee, Green Springs, OH; children, Robert (Michelle) Lee and Melanie (Brad) Lee both of Green Springs, OH; grandchildren, Misti Baumer, Robert Lee II, Jonathan Lee and Zach Stanley; great grandchildren, Travis, Brayden and Gracie. He was preceded in death by his parents; sisters, Iva, Sally, Jennie and Ada Mae; brothers, Milan and Clifford, Jr.
Visitation: Monday, December 11, 2017, from 5 – 8 pm at Horvath Hanes Funeral Home and Crematory, 211 N. Broadway St, Green Springs, OH. Service: Tuesday, December 12, 2017, 11:00 am at the funeral home with visitation from 9 – 11 prior to the service. Pastor Nancy Hull will officiate. So sorry for your loss! You are in my prayers. I am so sorry to hear of his passing. Wishing peace andsaying prayers for his family. Bob, Mel. I am out of state(Florida) and heard of Earlie’s passing. Wanted to offer my prayers and condolences to the Lee family. Earlie was a hoot to work with and always had a great story. I know him and my dad always enjoyed working and conversating with Earlie. Hope you find comfort in this time of sorrow. missed. I’m so sorry that I can’t attend. Earlier is a great man. Was reading about some of what he has done. The community has lost a great person. I’m gonna miss having them short talks here and there with him. Passing him all the time it seems at the corner. Not to many people come into ones life to where u just gonna miss that person for all the small things u seen , but were huge now that the person has moved on to to bigger things. I’m sure he will keep heaven straight!!! My heart goes out to the whole family ,they are a tight knit family. Prayers for all!!! RIP EARL!! Leslie A Butala and son Gregg Jr. So Truly sorry for your loss. It’s very hard to lose a parent/grandparent. He was such an honorable man. May GOD give you strength through this difficult time. Sending my love. Deepest sympathies to the entire Lee family. Green Springs definitely lost a good man with Earlie’s passing. He was a good friend, neighbor and a great guy to talk to. We will keep all of you in our thoughts and prayers. Praying that God gives you comfort at this time. Earlie was a great person, and police officer serving his community with honor. All my sympathy to his family and friends. Earlie you were always a friend with a kind word and a good story. Truly a special character of Green Springs. My deepest sympathies to all of his family and friends. My Deepest condolences to the Lee Family..What a wonderful person and friend..He will be deeply missed. lifting Earlie’s family in prayer through this difficult time. How we will all miss those big bear hugs! Earlie Lee was a dedicated Police Officer and a friend. Earlie will be missed by family and friends for many years to come. Thank you for your years of dedicated service to the community. My condolence to the family. “Ellanor”,one friend in my life who will be truly missed! My deepest sympathies and most comforting prayers to you and family. He taught me about radar, once i asked i was 12, he was always good to me, and very stern about things if i got out of line. Thanks for the lessons. We are so sorry to hear of Earlie’s passing. Sending our thoughts and prayers to Eleanor and the family. So sorry to hear about your loss. He was such a nice man always bringing our dog home. So sorry to hear!!!! Prayers for all of the family. One thing always sticks in my head. When I was young I had to identify a creep. No two way glass in a small town. Earlie told the creep he was lucky they caught him and not my Dad…..May the strength of God be with you all…. Knew Earlie in the late 70’s from his Law Enforcement career; then lost contact. His wife will remember the strange way we re-connected. Father God, Earlie here was my brother. Take care of him, You Hear ?! A great man that will be truly missed. Keeping everyone in thoughts and prayers. I am so sorry for your loss. My heart goes out to all of you in his passing. Earlie touched the lives of so many. He was so kind to me seven years ago when my dad passed giving me a few words to read at his funeral about working with Dad on the police department. God bless you all and may you find comfort in wonderful memories of him. My condolences to the family. One of the best utility man at Whirlpool. Eleanor, I am so sorry for your loss. You are in my thoughts and prayers. Sorry to hear of Earlie’s passing. I just found out this morning of his passing. I first got to know Earlie when I was on the Sheriff’s Dept. (Sandusky County) back in the mid 70’s. Always enjoyed talking with him. To the entire Lee family my condolences on his passing. May He Rest In Peace. I am so sorry of his passing. We knew him for a long time. Prayers to the family. Frank A Iannantuono, Capt. Tiffin P.D. retired. Thank you for your service to our country and to your community Chief Lee. Earlie was great friend and attribute to the community. He helped me many times. A jovial individual who brought smiles to many people. WE will all surely miss him. We offer our deepest sympathy to Earlie Lee’s family. He was a good man and will be missed by all. I was so sorry to hear of Earlie’s passing. He was a wonderful man. He dearly loved Green Springs and the community loved him back! Heaven gained a true angel. Please know that you’re in my thoughts and prayers. I’m so very sorry for your loss.Green Springs finest will be GREATLY missed! I’ve known Earlie most of my life because of my dad Elmer McClanahan. Earlie always went out of his way to talk to me and I would always recognize his voice anywhere. He meant so much to so many and he will be greatly missed. May God bless you during you’re time of loss. He sure called one of the good ones home!